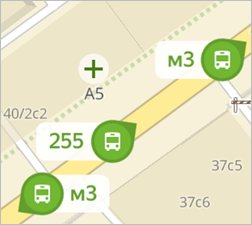 To display public transport routes in real time, tap Layers and then Real time transport in the panel that opens (to turn this mode off, just tap it again). Also see the Layers setting. 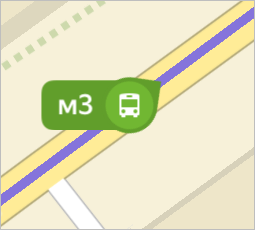 Minutes remaining before the next (or next several) public transport vehicles arrive at your stop on the current route.